Speaking of teaching and classes, I place a high value on education. I think we should try to learn something new every day. For those that are interested in learning more about the Embrilliance software programs, I have begun to post my class notes as PDF files in the SHOP section of my website. There is no charge, its just easier for me to keep track of where they are and how to direct people to get to them easily. Yes, these have been created as supplemental materials for the “in person” classes that I teach. But even if you were not able to take one of the classes, the handouts should make sense and be educational. I have never been successful and simply providing a “bullet point outline” as a handout. I’ve tried but I just can’t. Many people tell me that when they read my notes, they can actually hear me talking. Not sure that’s always a good thing as I tend to get chatty, but I kind of like the personal connection that is made without being there. 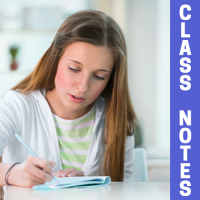 You’ll find a variety of topics and as I add new classes (or find the handouts for past classes and get them formatted, oops), I will continue to post them to that shopping page. I do try to mention the new handouts that are available when I send out my newsletter. If you are not getting my newsletters, and I only send out about 6 a year, you can sign up here. Be sure to add @ sew-bubbles.com to your safe sender list so that they get to you when I do send them. As mentioned, these handouts are free – a gift from me to you! If you have friends that might benefit from this information, please tell them where they can get them – allow me to give them my gift 🙂 In other words, feel free to share where you got the notes, but don’t share the notes themselves. They might find something here that they like or find useful. Until next time – happy stitching!